Slideshow: Don't answer until you read our rules. Forget about money for a moment. Just try, or else this won't work. Okay, now, for the purposes of this exercise you can have any regular Shelby H-Model you want for free: 1966, 2006, 2007 or 2019. By 'regular' we mean you can't have one few of the 2006/7 charge-cooled Paxton-supercharged EcoBoost prototypes, or one of the four 2006 exec specials equipped with manual transmissions, or any other obscure special version you can dig up. You have to maintain it and gas it up, but we'll cover your insurance as a way to level the playing field. When you decide you are done with it, your Shelby just goes away, you don't get to turn a profit by selling it. No speculation. Actually, this scenario isn't that far removed from reality these days. Once you locate the funds to buy a collectible, you can often own it for free—if you choose wisely or get lucky—by breaking even when you sell it to the next happy customer. Not to mention that some new generation cars are more expensive than (reasonable condition) examples of the classics they are meant to emulate. So, now that the ground rules are in place, we can move on to comparing apples to apples. The 2019 Shelby smokes the earlier cars in the power department. Its 5.0 liter DOHC Coyote engine puts out 480 hp (and revs to 7000 rpm), compared to 306 hp (gross) from the 1966's 4.7 liter V-8, and 325 hp from the 4.6-liter, 24 valves 2006 GT-H. But, as former British prime minister Benjamin Disraeli wisely said: there are lies, damn lies, and statistics, which is to say that hp ratings don't tell the whole story. 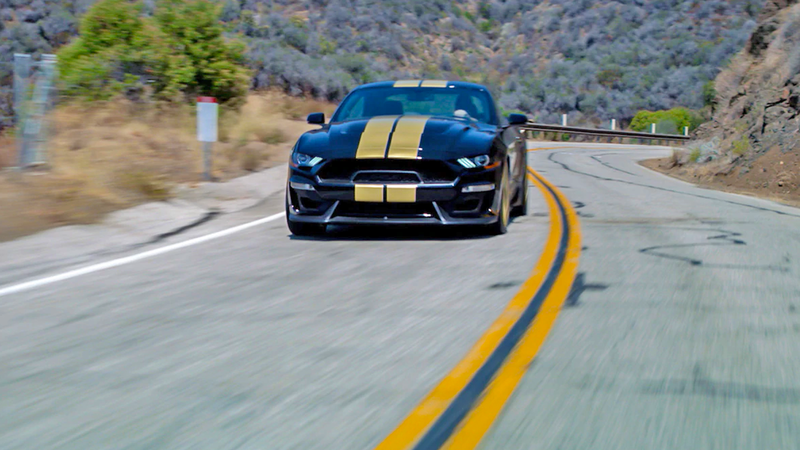 Our friends, gearing, tires and weight are all invited to the party as well, and all together that spells sub 4 seconds 0-60mph for the 2019 Shelby, compared to 5.0 for 2006, and in the neighborhood of 6.5 for 1966. Remember, you aren't worried about resale in this experiment so upgrade to your heart's content. We doubt most people are going to strip out a 2019 Shelby to get the weight down but we'd wager every single one of you would rip those Goodyear Bluestreaks off of the '66 the first chance you got. Granted, you might split a 289 engine block in half before you achieve the power output the new Coyote engines are capable of, but you don't have to settle for 306 hp. Again, in the handling department, newer cars are going to outperform their younger brethren, but anything is possible if you throw enough time, money, and know-how at something. One area to consider if you are staying stock is your shifting preference. 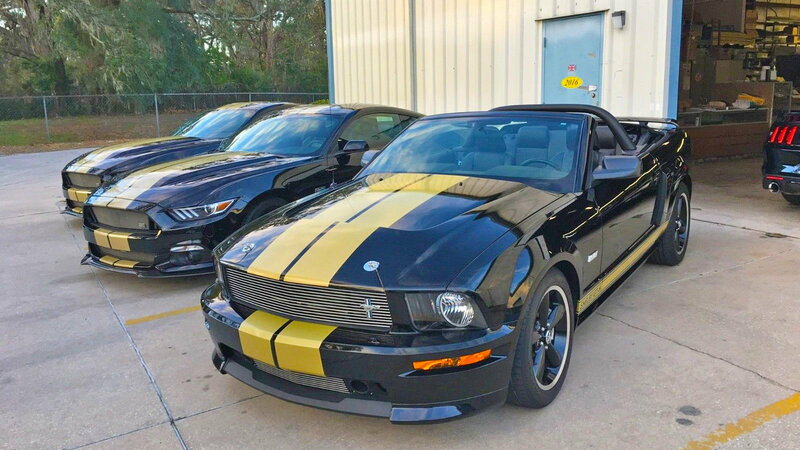 The 1996 Hertz cars came in both 3-speed automatic and 4-speed manual flavors, the 2006/7 cars are all 5-speed autos, and the 2019 Shelby can be had with either a 6-speed manual or a 10-speed automatic. 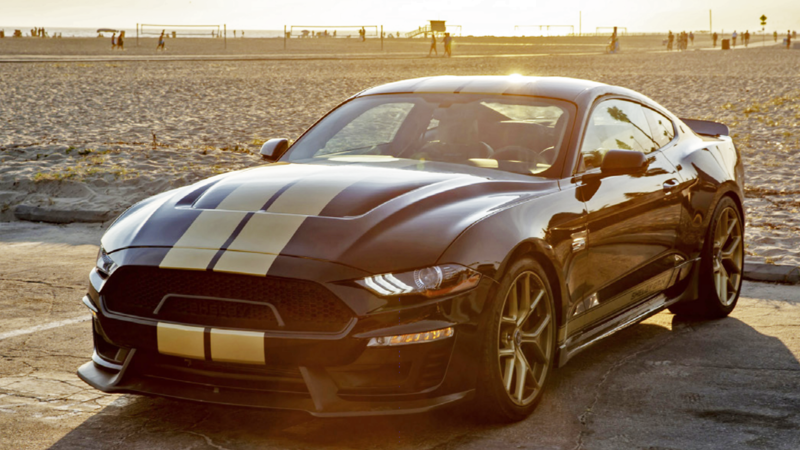 >>Join the conversation about which Shelby H Would You Choose here in The Mustang Source. Brass tacks. This is probably where most of you are splitting into tribes. The History tribe is picking the GT350-H. Late '60s automobiles and auto racing live on in the hearts and minds of enthusiasts, even ones born decades later. 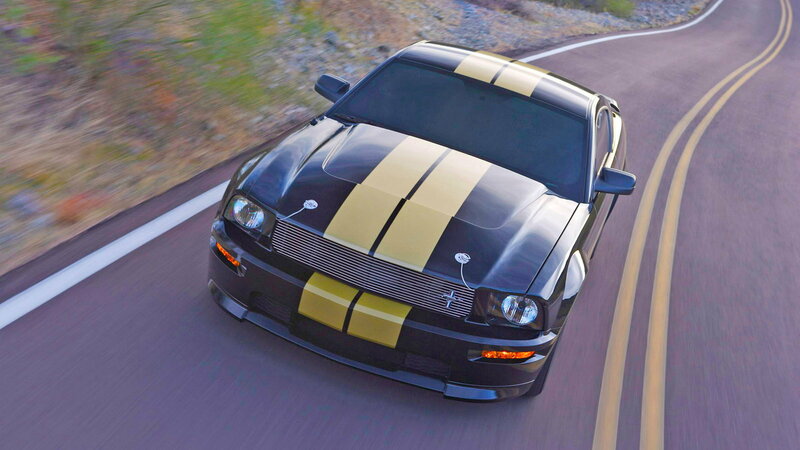 One look at at the retro styling of a 2006 Shelby makes that immediately apparent. 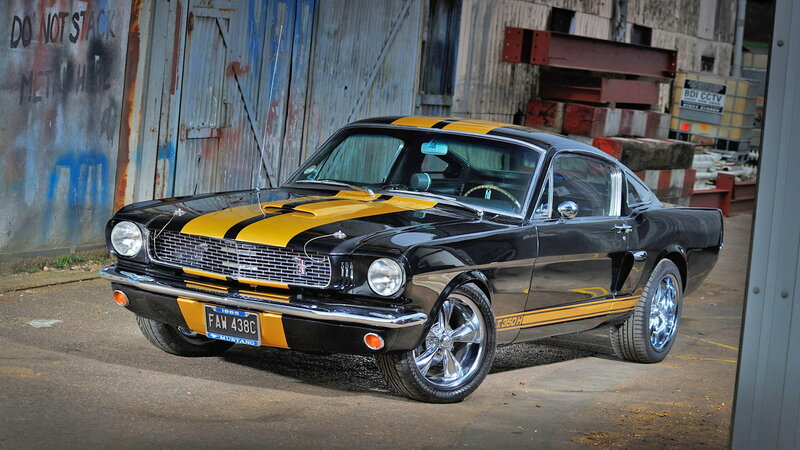 Whether you prefer the shape 1966 Shelby is a thornier question. Some will doubtless prefer the modern supercar styling of 2019, and we wouldn't blame them for a second—though the question of how unmistakably unique the newer models are is an open one. , 2019 comes out on top in terms of numbers produced since this will be a wide roll out over the 2016 models—compare that to 500 2006s, 500 2007 Convertibles, and under 1000 1966 Shelby (though the '66s aren't all still with us). Perhaps the best measure of snob appeal is the number of gawkers your car draws, be it at the track or your local cars and coffee. If that's your metric then we can guess which H model is for you. Life isn't all tire smoke and ego. Sometimes it's just you and your car, and sometimes that's a more enjoyable relationship if your back doesn't ache, or you aren't sweating through your shirt or going deaf. Do you want to daily your dream car? Do you want to drive through the world of SUVs and texting teen drivers with other people in your car? If so, you'll likely trade some of that vintage rawness for modern creature comforts and survivability in the unfortunate event of a collision. There's a reason Ford doesn't just crank out exact replicas of 1966 Mustangs these days. Before you decide, consider the alternatives. If you really want a '66 Shelby, will a '67 Camaro satisfy you? Probably not. If you want a 2006 GT-H, could you be tempted instead by a 2006 Corvette Z06? Perhaps, if you're not married to the Shelby brand. We didn't really offer you the option of any car for no money, but pondering the options might help you figure out how much you really you want the H Model of your dreams, and how long you could live with it before you were tempted by the charms of another model. So there you have it, the choice is yours. Tell us which you'd pick and why!